Couldn’t a woman make a bigger contribution to the world if she has fewer children? I am a mother (Baruch Hashem of 3 beautiful children) and a doctor.I run two practices and one involves working with physically and sexually abused children. I often lecture and teach medical students as well as doctors who are training to become pediatricians. My hardest and most rewarding job is definitely being a mother.I always knew that being a mother,after years of infertility, would be more important.As we just celebrated mother’s day in gallot, I would like to salute all the mothers out there. I loved your concept of the mother being the soil.Remember to “feed” the soil so it can produce beautiful trees and fruit. when i had my first baby, 24 years ago, i put my career on hold, planning to return after my youngest was in school. well, i haven’t gone back because my youngest is still at home. i wrestled with this question for years. as of yesterday, i can finally “see” the wisdom of Hashem’s plan. i just got to hold my first grandchild. I agree on the Yeud thing. 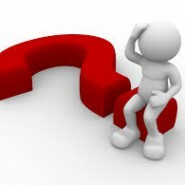 Why do you, the questioner, have to do everything? If you can BH have children, then you are helping to populate the earth with Jewish people and also helping Moshiach come faster (there has to be a certain amount of Jews in the world). And those are HUGE!! Leave the other big jobs for the plentiful Jewish mothers who are unable to have lots of children for different reasons. There are enough, trust me! If you are one of those lucky people who are emotionally able to have lots of children, go for it! How many mothers are strong enough to do that? Not many! Rabbi Mannis Friedman once told people his wife runs a home for unwanted children. People were impressed. When he said that they were his own 14 (I think) kids people were less impressed – but he quipped, well no one else wants them! I loved this pep talk, too. I just wanted to say that it’s impossible to judge the merit of any profession based on sheer numbers. According to mere mathematical tabulation, yes some people help “more” than others. But I think you hit the nail on the head with the soil metaphor – it may not be equal or remotely close in quantity, but you are building deeply and profoundly into the children that you have. And we should also think bigger, not only within the confines of our space and time or our generation. The good soil your children are growing in will affect future generations in ways no one can predict. It’s ultimately a mystery. We do what we are supposed to do, but Hashem causes things to flourish in our hands.